Hoof Beat Recreational Services specializes in horseback pack trips into Yellowstone National Park. We only take small groups so that your back country experience is more personalized. Join us in Yellowstone and enjoy wildlife viewing, photography, fishing, hiking and all that the park has to offer. Day Fishing: What could be finer than a full day spent in Yellowstone, combining horseback riding and fishing. Day Rides: Enjoy a full day of exploring Yellowstone National Park on horseback and see parts of the park that most folks don't get a chance to see. 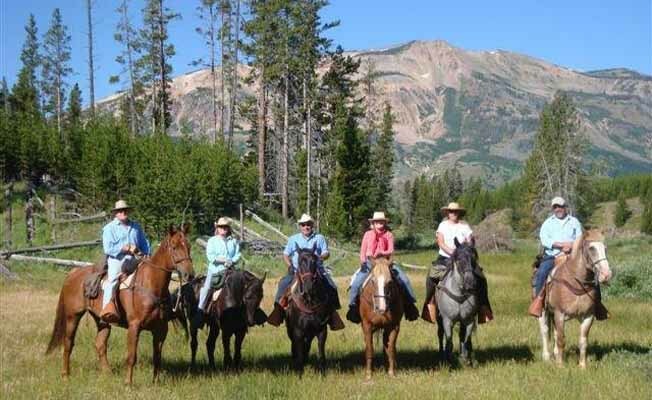 Ranch Rides: At certain times of the year, we offer rides at a scenic ranch at the base of the Bridger Mountains up Bridger Canyon.